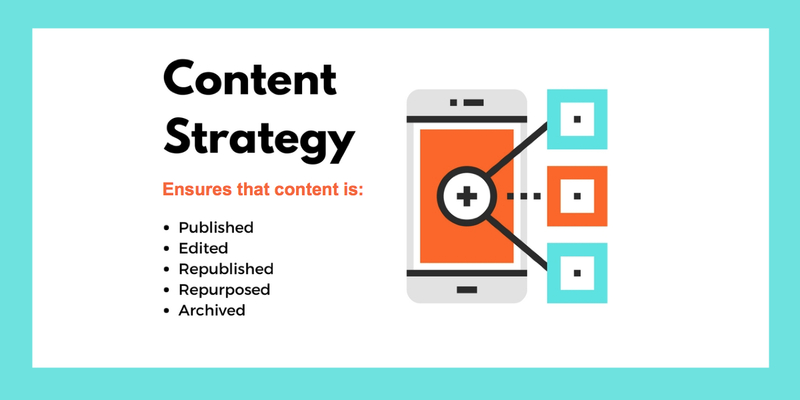 Do you know what a content strategy is and why it’s important to your business? Content is what differentiates your website or application from your competition. It’s not enough to just have a lot of content. Your content needs to be relevant, helpful, and interesting. But that’s not enough either. It needs to be easy to navigate and your readers need to be able to find what they need or want, easily and without struggling to understand how to get around your website or application. Beyond that, your content needs to be aimed at your audience. If it’s too hard for them to understand, you’ll lose them before you’ve even convinced them that you have something worthwhile to say. Or, if your audience is aimed at a certain discipline that expects a certain level of technical-speak, they won’t give you the time of day if you don’t speak at their level. One key element of your content strategy should be to repurpose whenever possible. There’s no sense re-inventing things when you can use them multiple times in various ways. One strategy we’ve employed at Easton Communications is to create short topic-based videos demonstrating how to perform tasks, along with documents that provide more detail. We then put these individual elements in a searchable library, and we thread them together into a longer self-paced course that teaches complete start-to-finish understanding about a subject. This maximizes your investment in content creation, and gives your users exactly what they need. If they are just starting, they can work through an entire course. Or, if they just need a refresher on something, they can quickly watch a video or read a topic. To make this all work, your content strategy needs to include a style guide for language, design, and voice. Being consistent and predictable helps people understand and learn what you’re trying to teach or explain. Your content strategy also needs to include a plan to stay up-to-date. If you’re presenting information that’s out-of-date you’ll just confuse your readers and ultimately you’ll lose your credibility. One of the most important goals of your content strategy should be to gain the trust of your readers. Once you’ve gained that trust, you don’t want to lose it. Many other details go into creating, managing, and implementing an effective content strategy. This post just touches on some of the highlights. If you’d like more information about how a content strategy can help your website, application, or organization, please contact Easton Communications. We can help you create and manage your content over time so it’s always serving your audience in the best possible way. We’ll be adding more information to this series in the future. If you want to be notified when new topics are published, sign up for our newsletter. We value your privacy and promise to never sell or give away your contact information! Next Post Content Strategy–What is it? A communications expert with over 25 years experience.